Valeant Pharmaceuticals' eye care subsidiary Bausch + Lomb will soon release a revolutionary contact lens solution called Renu Advanced Formula. This new contact solution is multipurpose and can be used on both soft and silicone hydrogel contacts. 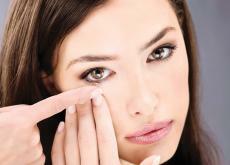 People in the contact lens industry are interested in this solution's fascinating formula. Renu Advanced Formula is actually composed of three different disinfectants and two moisture agents. In addition to keeping contacts clean, Bausch + Lomb executives say this new formula will make contacts feel more comfortable in a wearer's eyes. Joseph C. Papa, the current CEO of Valeant Pharmaceuticals, told the press that he was thrilled to hear about the new release of Renu Advanced Formula. He also said that the Bausch + Lomb Consumer Healthcare division "remains a critical driver for our global eye health business." Bausch + Lomb expects to put the Renu Advanced Formula on store shelves in June of 2017. At the same time, Bausch + Lomb will take the Renu Fresh and Renu Sensitive formulas off the market. As of today, the Bausch + Lomb Consumer Healthcare division is one of the most successful healthcare businesses in the USA. A few of Bausch + Lomb's best selling products include the Biotrue multipurpose solution and the PreserVision AREDS 2 Formula Eye Vitamin and Mineral Supplement. Researchers at Bausch + Lomb are also very interested in research and development. A few products this team is currently working on include an innovative eye redness reliever and a brimonidine tartrate ophthalmic solution called Luminesse. Henry Lomb and John Jacob Bausch founded Bausch + Lomb in Rochester, New York, in 1853. Today, this eye care provider does business in over 35 countries and has moved its headquarters to Bridgewater, New Jersey. Valiant Pharmaceuticals purchased Bausch + Lomb in 2013 for over $8.5 billion. Valeant is a Canadian company headquartered in Laval, Québec.